**Registration for 2019 Summer Camps opens in Feb. 4th for MCC district residents, and Feb. 11th for non-residents! All Summer Camps will be held at MPA at the McLean Community Center! (1234 Ingleside Avenue, McLean, VA 22101). Separate camps will be offered for ages 6-8 and ages 9-12, in both morning and afternoon sessions. 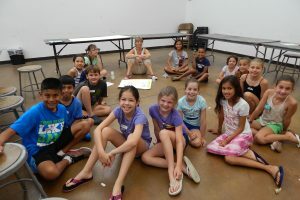 Join MPA for a variety of imaginative and fun week-long camp sessions! Each week will feature a variety of art activities that will ignite your child’s creativity. 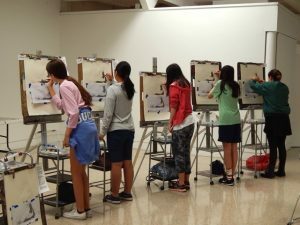 Taught by MPA’s experienced art educators, students will learn about and create art in the beautiful and professional DuVal Studio located inside the McLean Community Center, as well as other indoor and outdoor spaces. *Week 2 (Mon-Wed only) is $145 per session/$136 MCC district residents. Campers have the option of attending both morning and afternoon sessions. All materials are provided. Campers should bring a snack, or lunch if they attend both sessions. Included in the camp experience is an ice cream treat and an MPA painting smock to protect their clothes. Art Instructors: Sharon Fishel, Diana Gibson, and other faculty. Sessions offered each week. Monday-Friday, 9:30am – 12pm or 1:30-4pm. Materials Fee: $35. Make check payable to Abrakaddodle. Fee is due to instructor on the first day of camp. 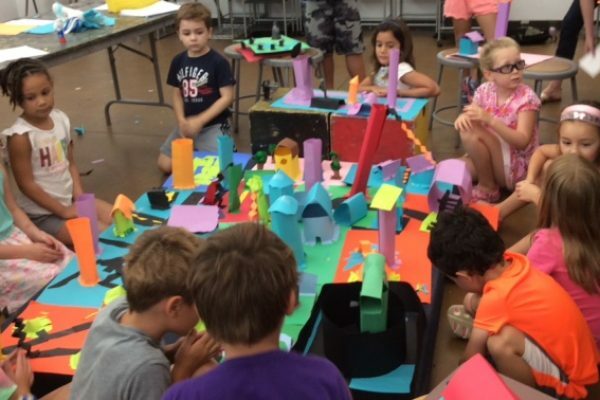 This popular series of imaginative art camps for children is based on learning principles of Jean Piaget. Children create wonderful “Masterpieces” using innovative art materials, while exploring artistic styles and techniques. 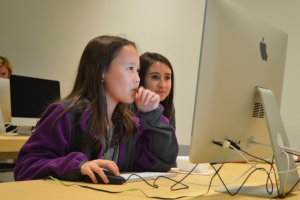 Each camp offers unique experiences designed to foster creativity. 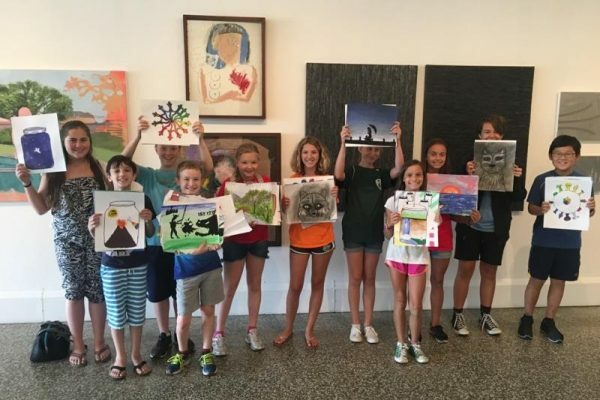 There will be a different theme each week of camp, including “World Travel 3D Art Camp,” “Space Art Adventure STEAM,’ “Plug into Your Imagination,” “Kids on Canvas,” “Fairy Tale Art” and many more! Join us and blast off to an outer space adventure! Learn about the solar system, meteoroids, meteors and meteorites, constellations and much more. Find out whyastronauts wear spacesuits and why telescopes are important tools. Create art that focuses on science, technology, engineering and math concepts. Explore fun art techniques and make friends that are “out of this world”! All while we reach for the stars as artists! Take a creative journey deep into the world of fairy tales! These are the familiar, beloved stories of fantastic worlds, royal lives, and dramatic transformations that we know and love. Along the way, students will learn about disguises, color mixing, patterns, textures, and more. Students will live “Happily Ever After” in this creative storybook of art experiences. Travel with us on this creative journey and change the way you see the world! Create 3D masterpieces inspired by world cultures. Learn about Chinese ceramics, Croatian “licitar” hearts, Maori design carvings from New Zealand, “nicho” boxes from Mexico and much more. 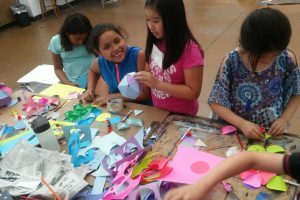 Create art using a variety of materials and learn that through art we can connect with people from all over the world. Put it all together and we’ve got Abrakadoodle FUN in all sorts of ways! Learn about Navajo culture and healing ceremonies with the delicate art of sand painting. Reuse magazine to create original colorful images. Use cast-off wood blocks to design toys inspired by Uglydolls, create creepy crawly spider sculptures and more. Look up at grand trees reaching for the sky! Look down at tiny crawling bugs! Look all around at flowing water, bright colors, mouth-watering fruit, and more! These things inspire us to construct miniature trees of life and draw Mondrian-style trees – with a twist! We examine ladybugs and other bugs in their leafy habitats; create fruity, patterned, mixed media masterpieces inspired by masters like Paul Gauguin. We learn about Outsider art – creative works by people who have had little or no formal training in art but inspire us nonetheless. Come on over and get inspired! 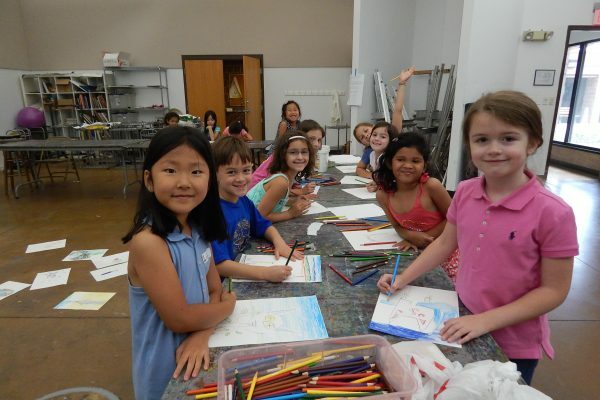 Get ready for a “Kids on Canvas” painting adventure that features fabulous artists, tons of paint and buckets of fun! Explore patterns, texture and incorporate design while learning about Vincent van Gogh, Katsuhiko Hibino, Romero Britto, Amelia Pelaez, and more. You will have some super, Picasso-style fun in this camp! For any young artist with the desire to learn classical drawing. No previous experience is necessary. Students will draw a series of pictures in charcoal throughout the week, including work from the late 19th century, Bargue-Gérôme Drawing Course, culminating in a session with a live model on Friday afternoon. Students will have at least two finished portfolio drawings by the end of the week. Parents and families are encouraged to attend the closing certificate ceremony on Friday. Appropriate applicants will be contact to set up a first round phone interview.